We provide services that are unparalleled in the economy hotel segment of the hospitality industry. We pay optimum heed that the services are executed promptly without any unnecessary delay. 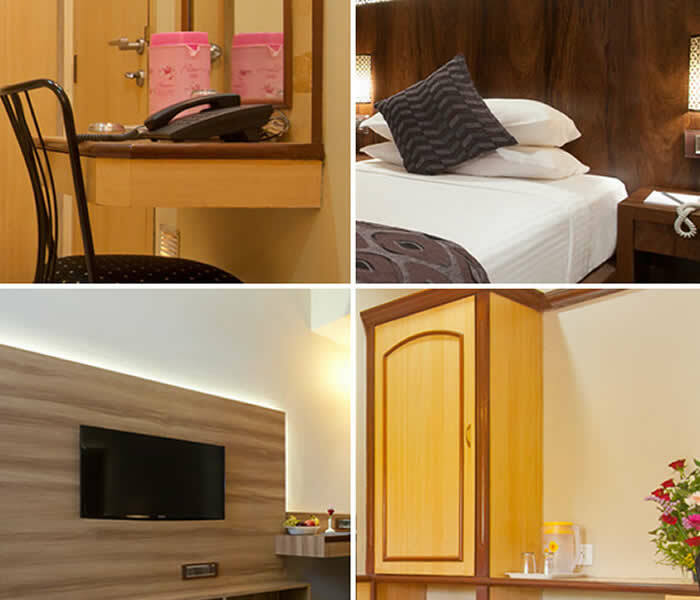 Often economy hotels are characterized with a limited range of services but our attentive and personalize service include the following wide variety of services. We provide room service to every guest irrespective of whatever room he has booked. Just on a intercom call to the number provided, room service in terms of food or any other material is readily available. A hygienic wash and steam-ironing facility for any type of clothes is provided in our state-of-the-art in-house laundry. Dry-cleaning option within two hours is also included in our laundry service. New Bengal Hotel Mumbai has a well-attentive reception at the entrance of our hotel. They are functional for 24 hours at your service and offer booking on phone and give you exact information about the availability of rooms. We have telephone facility for our guests within our hotel premise that is available round the clock. Local, STD, ISD call service, as well as Fax Machine is readily available to make your stay pleasurable and be connected to what ever place you may want to. Broad band service also forms an integral facility that is included over the recent years. It is to make your stay easy-going with out causing any hamper to your regular work. Entertain yourself or stay connected is the purpose we strive to serve. We make appropriate arrangements for tourists who intend to visit different sites in Mumbai and experience its beauty. Reservation of seats in reliable and luxurious tourists bus is executed by us. Our special travel counter provides active assistance in planning and rent out cars for any journey to be undertaken by our guests. Information regarding any long route journey by train, or plane which needs prior reservation if informed before hand is arranged by our travel department. Even short notice reservation requirement is fulfilled on extra payment. Postal Service also forms a part of our value-added package. Normal post, courier service and speed post facility is also offered in tie up with the postal department and other courier and speed post agencies. We are also competent enough to provide secretarial assistance to our guests on business tours. Any kind of secretarial jobs like typing, letters, maintain files, help in meetings and attend business calls etc is done by special staff appointed by the hotel administration for the purpose.